Dataproducts premium remanufactured color laser cartridges help you get more for your money. Dataproducts only uses the highest quality toner to guarantee consistent, vibrant colors while meeting or exceeding OEM page yield and reliability. Dataproducts laser cartridges are developed and manufactured in state-of-the-art facilities utilizing technology and automation to drive consistent, high quality printing. All Dataproducts cartridges go through rigorous pre and post testing, are backed by a 100% satisfaction guarantee, and include expert cartridge support. Dataproducts helps to protect the environment by keeping used cartridges and cartridge components out of landfills. 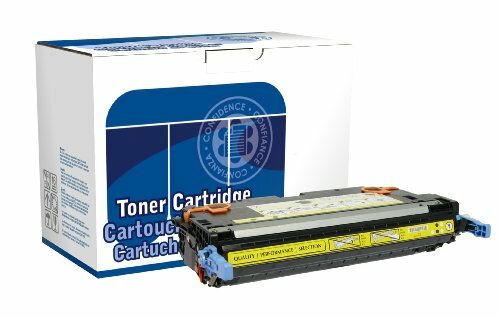 This laser cartridge is compatible with HP Color LaserJet 2700, 2700N, 3000, 3000DN, 3000DTN, 3000N (HP 314A). It yields 3,500.